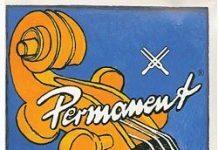 If you’re a new stringed instrument player, you may have looked at that funny amber colored stuff that comes in your stringed instrument case and wondered what exactly it is. That stuff is stringed instrument rosin. What is rosin you might ask? It is the sticky stuff that allows your stringed instrument bow to make noise. By definition, rosin or colophony is a hardened tree sap (resin) fetched from one of the more than 110 different types of pine trees throughout Asia, Europe, New Zealand, and North America. This resin is applied on the stringed instrument bow to give it the required grip when drawing the bow across the strings on the cello. 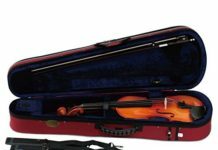 Without the rosin, the bow often slides across the stringed instrument strings, producing a faint whispery sound or no sound at all. 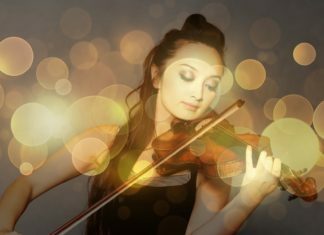 This article will disclose to you everything you need to know about stringed instrument rosin, what rosin is, why you need rosin, and how to use rosin. As stated earlier, rosin is a substance applied on the hair of the stringed instrument bow to make it sticky. 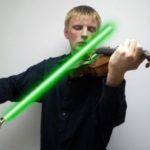 Rosining is meant to produce adequate friction between the bow hair and the stringed instrument strings to make the proper sound when the bow is pulled across the stringed instrument strings. Rosin is tapped directly from living trees in a similar process used to draw maple syrup. First, a small area of the outer bark of the tree is removed. The tree is then fitted with a drip channel as well as a collection container. Lastly, the tree is cut with V-shaped grooves of approximately 0.39 inches wide slightly above the drip channel. These marks are meant to induce the flow of resin into the collection container. In order to ensure the continuous flow of the tree resin, the cuts must be renewed after every 5 days. After collection, the resin is often mixed with other tree saps including spruces, larches or firs to come up with a specialized recipe, which is usually the secret of the rosin makers. Other rosin makers even add beeswax, silver, copper flecks, gold or lead in order to enhance the rosin’s ability to grip the strings properly. The secret formula is then purified by heating and straining in large vats until the resins are completely melted. Once adequately cooked, the concoction is poured into molds. After resting for about 30 minutes, the rosin is smoothed down before being polished. The rosin is finally fitted into tight fitting containers or packed into swath cloths. The color of the rosin is determined by the time of the year when the resin is collected. If the resin is collected during fall and summer, the color of the rosin is usually dark and the consistency softens. On the other hand, if the resin was gathered in early spring or late winter, the rosin will be amber or gold in color and hard when set up. Cake versus Boxed: Generally, rosins come as either cake or boxed. The boxed rosin comes in clear amber colors and is cheaply priced than its cake counterpart. Darker Rosins: The darker the rosin, the softer it is. Softer rosins are not only stickier but also produce greater grip and grittier sound. The only disadvantage of softer rosins is that they produce more powder. Lighter Rosins: Lighter rosins are hard. As a result, they might not be adequately sticky to produce the desired sound. 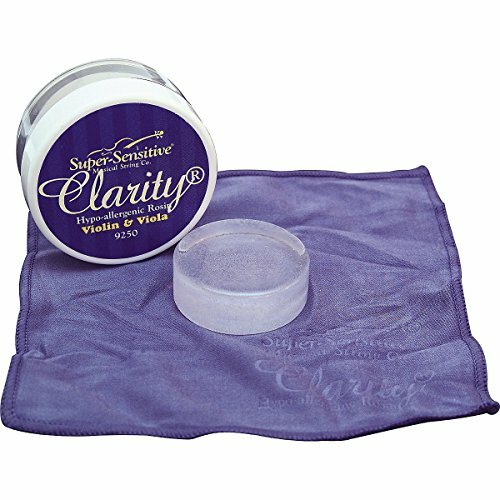 Hypoallergenic Rosins: This powder-free rosin is ideal for people who are allergic to rosin powder. Gold, Silver, Lead, and Copper Rosins: The silver rosin produces a concentrated bright tone and is ideal for performance in higher positions. The gold rosin, on the other hand, is said to produce a clear, warm tone and is perfect for all instruments. Last but not least, lead rosins are known to enhance clarity and warmth by producing a fresh playing tone while copper rosins produce an almost velvety-soft and warm tone. Why Do You Need Rosin? 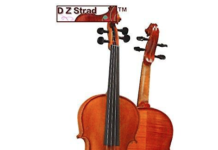 New stringed instrument bows or recently rehaired stringed instrument bows do not produce any sound because they need stringed instrument rosin to create friction between the bow and strings. 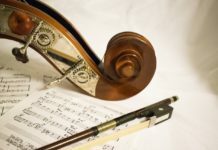 Rosin is required because it provides the bow hair with an adequate grip needed to produce suitable sound when the bow is pulled across the stringed instrument strings. 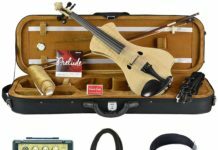 Without applying rosin, the bow will just slide across the stringed instrument strings, producing a whispery sound or no sound at all. Additionally, rosin needs to be applied every so often to the stringed instrument bow because the existing rosin wears off. We recommend re-rosining the bow every 3-4 playing sessions. Even though there are many rosining techniques, using long slow strokes along the length of the bow is highly recommended. Here are the steps to follow. Before rosining, turn the tension screw to tighten the bow hairs. Place the bow hairs flat on the rosin at the bow’s frog and rub the hairs of the bow gently up and down a few number of times. *Pro Tip*: To get the best rosining experience, we recommend scratching the surface of the rosin with sandpaper or metal to make it powdery on top. 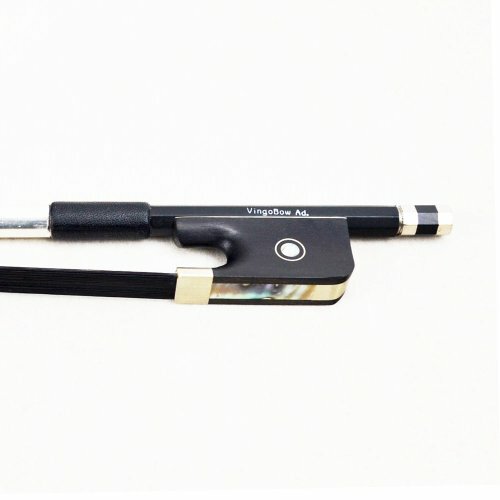 This will let the rosin stick better to the bow hair. Draw the hairs of the bow straight across the rosin until you reach the tip of the bow. Repeat the gentle scrubbing motion from the tip of the bow back to the bottom near the location of the tension screw. Repeat this process across the entire length of the bow for several times. After every playing session, remove rosin dust using a soft, dry cloth. If you apply too little rosin, you will not get the adequate amount of friction so you won’t be playing at your full potential. Application of too much rosin leads to the production of too much rosin powder. Excessive rosining can lead to the production of a scratchy, raspy sound. 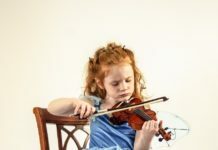 The number of times to rosin your bow depends on a number of factors including the strings used, the bow hair, the humidity, the temperature, the responsiveness of your instrument, and the style of playing. 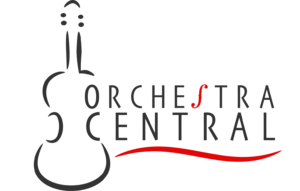 On average, rosin should be applied after every three to four times of playing your stringed instrument.